The Le Creuset Signature Enameled Cast-Iron 5-1/2-Quart Round French (Dutch) Oven, cherry is the perfect housewarming gift for new home owners who enjoy cooking. Great for slow cooking, stewing, braising or soups, the Le Creuset Signature Enameled Cast-Iron Dutch oven comes with ergonomic handles which are 45% larger giving a good secure grip even when wearing kitchen mittens. Well known for its quality cookware, you can easily cook for 2 -5 people with this Le Cruesent cherry 5.5 qt round Dutch oven. The advanced sand colored interior enamel is constructed to resist staining. The food doesn’t stick to the interior walls and it is very easy to clean. The bright cherry colored exterior enamel is resistant to chips and cracks. The ergonomic composite knob is heat resistant to a temperature of 500 degrees Fahrenheit. 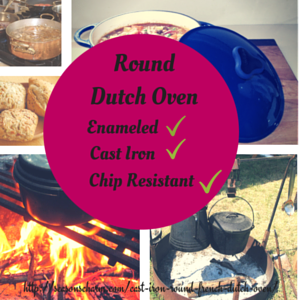 A great quality cast iron enameled pot, this Dutch oven is great for baking bread too. You can used it on gas stove, induction, grill as well as the oven. The versatile Le Cruesent cast iron pot is a multi purpose pot that you can use to cook a lot of food stuff, an extremely useful and thoughtful gift. Do check out the Le Creuset Signature Enameled Cast-Iron 5-1/2-Quart Round French (Dutch) Oven, cherry if you are looking for a gift for someone who is passionate about cooking.